Successfully moving changes between environments doesn’t happen by accident. It takes time and planning and perhaps more than one attempt at deployment. Deployments don’t always succeed, and one of the most frustrating issues can be unravelling what the message(s) returned by the Metadata API really mean when it comes to deployment. I want to take a look at how you can find information about issues with your deployments, how to identify what failure messages are actually telling you, walk through some common deployment errors and share some useful patterns for structuring your deployments. Where do failures show up? The best place to look for errors (and the quality of the messages you’ll find) depends on what mechanism you’re using to deploy your changes. 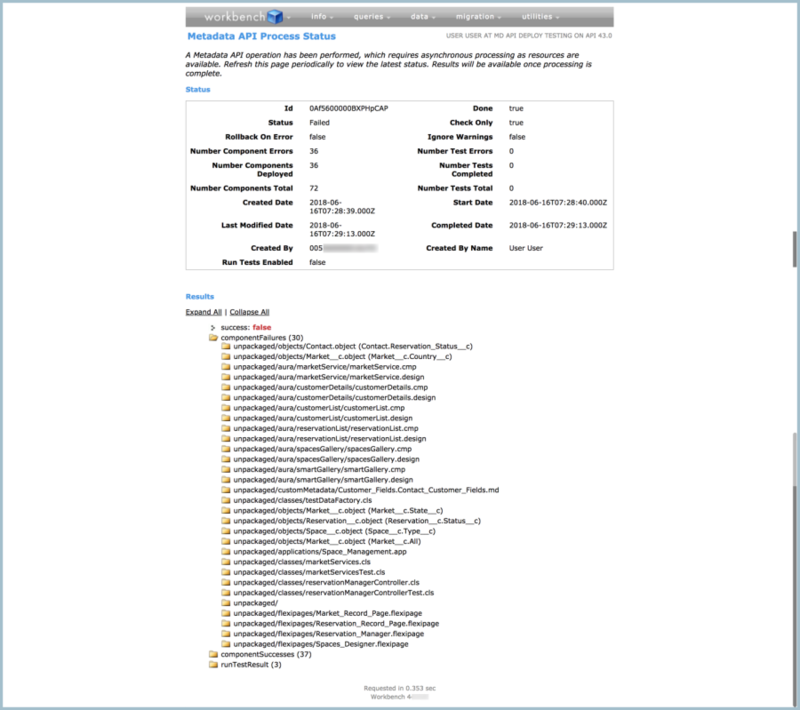 In every Salesforce environment (think scratch org, sandbox, production) you can get an overview of that org’s deployment history under Setup > Deployment Status. However, the amount of detail available under ‘View Details’ can be very limited, depending on your deployment method. If you’re deploying directly with the Metadata API, you’ll see almost no meaningful details in this part of Setup. Depending on your IDE, you may find details about your deployments in your IDE logs, or your IDE may have a dedicated UI for working with your deployments where you can see some error messages. Using the Salesforce CLI and VS Code, you can get information about your deployment by adding the -w and --json parameters when you attempt sfdx force:mdapi:deploy. This format can be difficult to parse when dealing with a long series of messages. Here, we’re seeing the same details as in the output of the Salesforce CLI. But it’s easier to understand the details and easier to track the deployment status and details for every item in my deployment. These details are crucial when you’re unravelling issues with a deployment. The key to understanding what the Metadata API can tell you about your deployments is learning to distinguish what’s actually meaningful information and what’s just noise. The stream of information returned by the Metadata API during a deployment is really that: a stream. It’s a feed of everything that’s happening during a deployment attempt. A giant list of errors doesn’t necessarily translate into a giant list of issues that need to be corrected with your deployment. If you see that you have errors in your deployment, you’ll have to determine the list of things that are actually wrong by yourself. The errors sent back by the Metadata API will help you do this. To understand what actually happened during your deployment, you need to work backwards through the messages. I then created a scratch org, set a password for the default user, and logged into Workbench using my scratch org credentials. If you’re not sure what kinds of metadata have fewer dependencies, look at the xml definition files for the metadata types you’re working with. 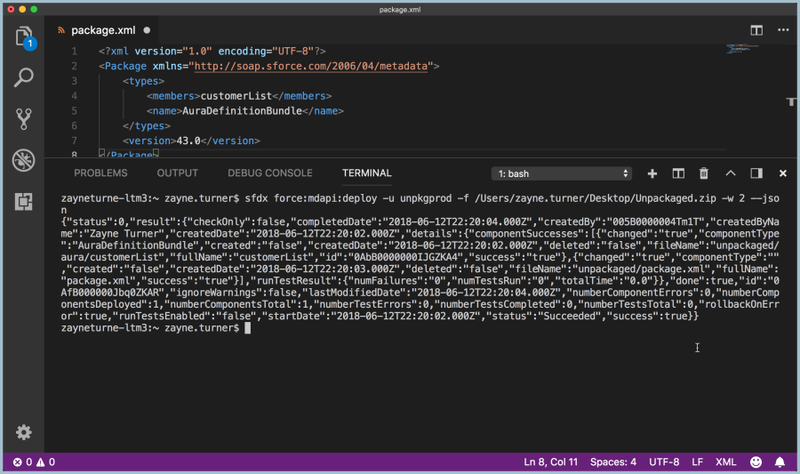 (Or if you’re working with a Visualforce page, Apex class or Lightning bundle, look at the markup.) If a file references something else, that “something else” better be there. This flexipage has 3 different dependencies: the reservationList component, the spaceDesigner component, and the AppPage_2column custom page template. If any of those pieces of metadata aren’t in my package, then this flexipage could cause some deployment problems. Line 1: Dependency on the reservationManagerController Apex class. Line 11: Dependency on reservationTile, which is another Lightning component. But before we go look at more component markup or Apex code, we need to go back to the keys I laid out before: prioritize errors related to simpler metadata types before more complex ones. So we shouldn’t start our investigation with a flexipage, which is a piece of metadata with multiple dependencies. In general, the root of all dependencies will be your data model. So if you’re seeing errors related to objects and fields, you should start there. A common error is apparent: “The global picklist cannot be resolved.” Each field with that error, like the ‘Reservation_Status__c’ field on the Contact object, is based on a global picklist, and I didn’t put any ‘GlobalValueSet’ metadata (which is the metadata entity for global picklists) into my package.xml. I can clearly see this error repeated in this view in Workbench. But if I were using another tool and reading error messages one-by-one, this discovery lets me know that any objects with global picklists in this deployment ran into the same trouble. I also know that any metadata in this deployment that is dependent on those objects and fields also had problems, and metadata dependent on that metadata also had problems, and so on. That is why I got a whole list of errors, and why you don’t want to start your troubleshooting with errors related to complex metadata types. This is another reality to keep in mind: working with Metadata API deployment can be like peeling an onion made of Rubik’s cubes. Deployments are like puzzles and you sometimes can only reveal new pieces by going through some layers. But deployments are puzzles with logic — and that logic is based on dependencies. When you give the platform a bundle of metadata to deploy, the platform will try to deploy your metadata in an order that respects dependencies within that bundle. But the larger the bundle you try to deploy and the more kinds of dependencies you put within a bundle, then you’re increasing the risk of running into a deployment that’s even more complicated to troubleshoot than my example above. I generally prefer to split my deployments into smaller, staggered units. I find that it decreases the amount of time spent troubleshooting, makes complex deployments more reliable across environments, and increases a team’s ability to focus on important pre- and post-deployment steps. 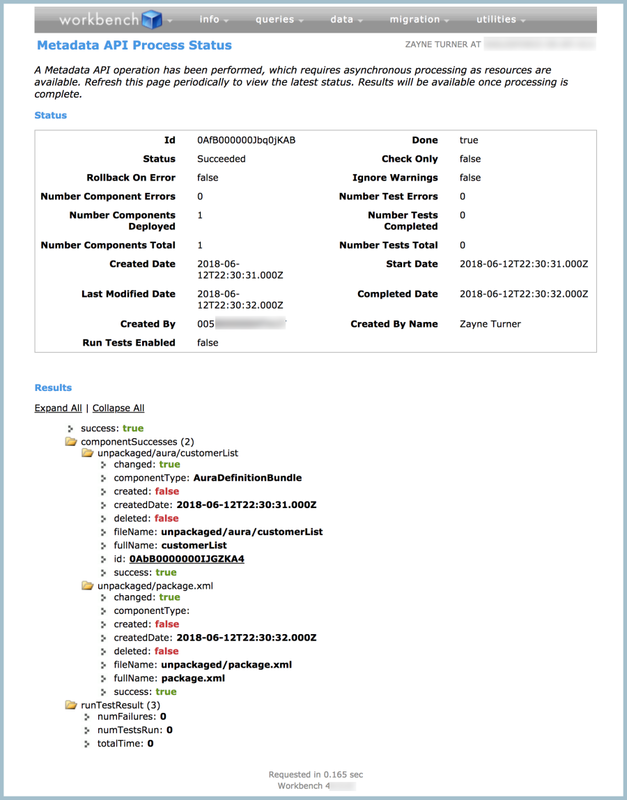 So how can you start to figure out how to manage dependencies when you’re deploying? Pay attention to your data model. You can use schema builder, the Workbench REST explorer, and the SOAP API data model documentation to get a sense of your custom objects and the standard object data models. Get comfortable looking at the xml for more complex metadata types. 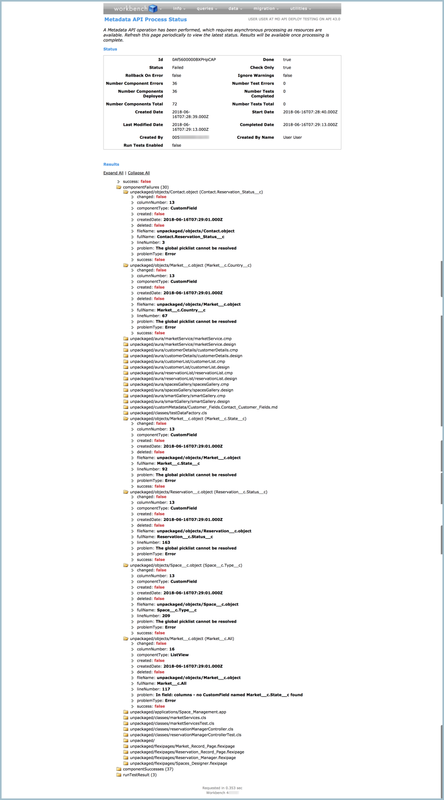 As I said before, if a piece of metadata references something else in its xml, something else either needs to already be in place when it deploys, or it needs to be in the same deployment. When in doubt, look at the xml. Managing dependencies is key to creating successful deployments. 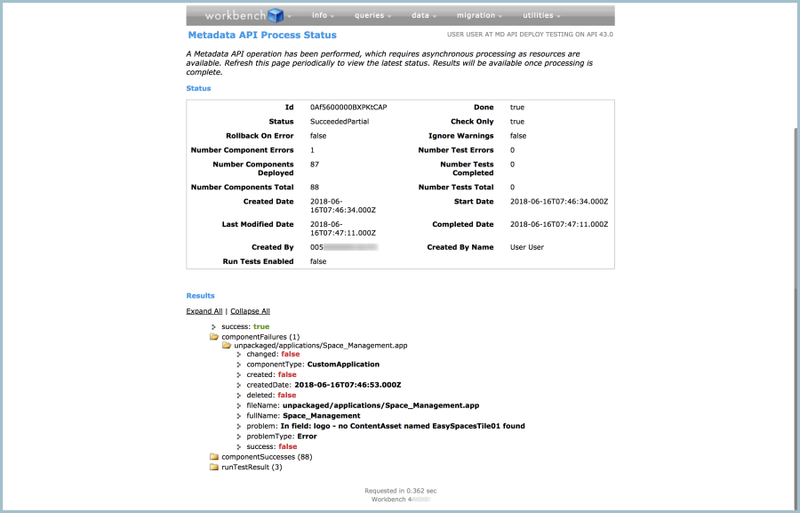 Knowing how to find and understand messages returned by the Metadata API can help you more effectively manage oversights in your deployments, and help you learn how to improve the stability and quality of your app development lifecycle. 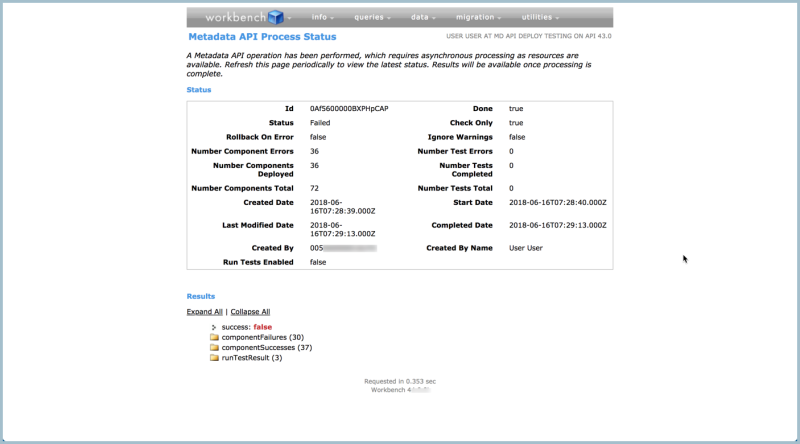 To learn more, check out and complete the Apex Metadata API module in Trailhead.